Boy Scout Troop 545 offers a year-round adventure-based program designed to offer and encourage effective character, citizenship, and fitness training for boys age 11-17. Boy Scout Meetings are held every Monday Evening at 6:30pm at Most Blessed Sacrament Catholic Church at 2100 North Davis Drive, Arlington, Texas. Our troop was founded in 1986 and is sponsored by Most Blessed Sacrament Catholic Church. Our Troop has enjoyed serving our sponsoring church by providing the Easter Vigil fire, Trunk R Treating booths, and more. 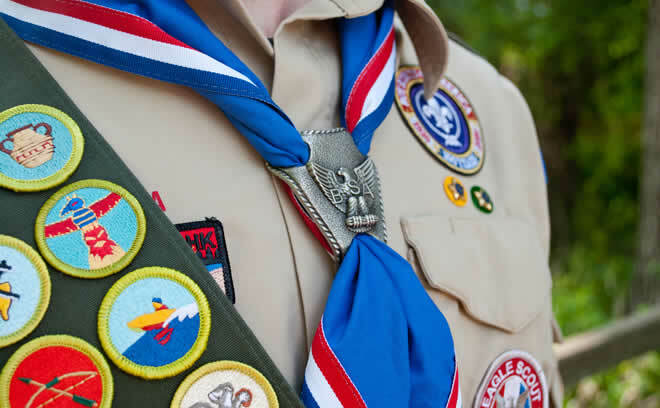 Since the Troop was charted we have had 43 Scouts achieve the rank of Eagle. Our Eagle projects have helped local schools, churches, and charities.